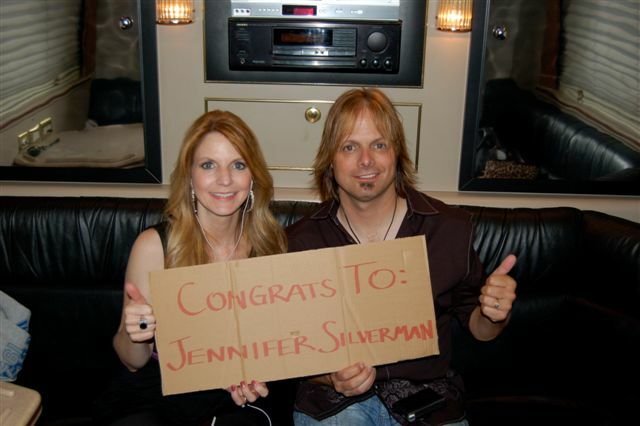 Nashville, TN (June 6, 2011) - The reigning two-time Inspirational Country Music's Duo of the Year The Roys, give a big shout out to Jennifer Silverman of Toronto, Ontario, who won the grand prize in the bluegrass/country duo's recent iPod Nano® Online Contest giveaway. The nifty new Nano comes pre-loaded with songs from The Roys' debut Rural Rhythm Records' CD, LONESOME WHISTLE. Elaine Roy, who are slated for nine live performances, six booth appearances and, what promises to be, a fierce competition in Friday's Field & Stream Celebrity Outdoorsman Challenge (complete itinerary HERE). The busy brother and sister, who are ardent supporters of Operation Troop Aid, begin the week waving to music fans from OTA's Hummer during the Festival's Kick-Off Parade. Their live performance schedule includes shows at Cadillac Ranch (for Operation Troop Aid); The Power Source Showcase at B.B. King's; The Gibson Guitar Acoustic Stage at The Hard Rock; WSM/Durango Boots Acoustic Corner Stage; the Bud Light Stage in the Sports Zone and more. The Roys' set list includes their current single, "Coal Minin' Man," a song that is quickly proving to be a fan favorite. The track currently sits at #4 on Power Source Magazine's Top 10 Bluegrass Song Chart; at #5 on the Bluegrass Music Profiles Chart and is #16 on the Bluegrass Unlimited Chart. LONESOME WHISTLE is also showing its popularity, holding the #2 spot on the TOP 66 International Bluegrass Chart for the second week in a row, and entering the Bluegrass Unlimited Chart at #15. Fans can receive the latest updates on The Roys and all their favorite Bluegrass artists now on their mobile devices simply by texting "bluegrass" to 90210. Catch up with The Roys online at www.theroysonline.com, via Twitter and on Facebook. Additional press images and materials can be found at www.somuchmoore.com.